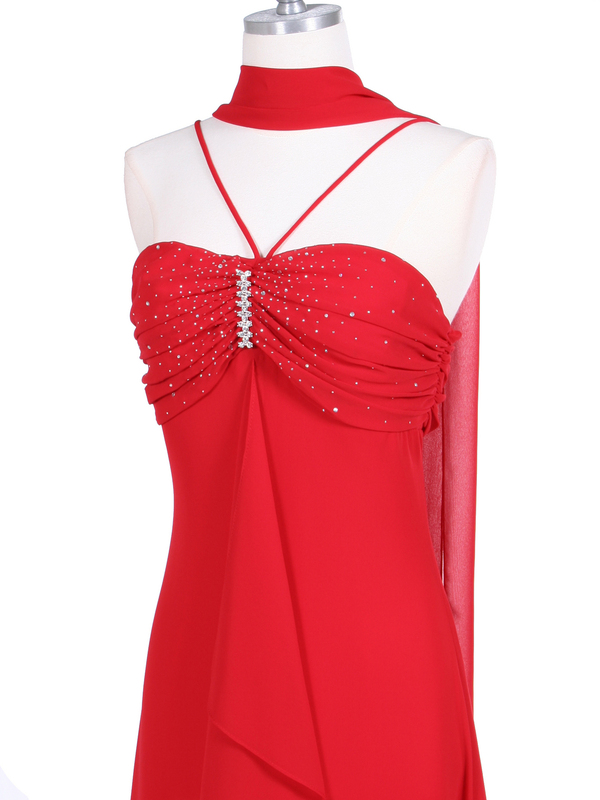 Red Evening Dress with Rhine Stone Pin | Sung Boutique L.A. This beautiful evening dress features a halter neckline, shirred bust with decorated rhinestone, and gathered ruffled drape cascading from attached rhinestone pin. High-low hem add a sense of flirtatious. This is the dress for any special occasion. Back center zipper; matching shawl included.